“During December 2000 several significant storm fronts developed across the North Sea and Scandinavia. Benny remarked to me that he had recorded some of these on the Baltic coast and proposed a collaborative cd project based around our mutual interests in the rhythms and music created when the elements combine over land and out to sea. We spent the next few years gathering recordings on our respective coastlines and islands during the very active weather windows during the autumnal equinox and winter solstice. This was focused around our following one particular cyclonic system, which veers over Snipe Point on Lindisfarne to the Isle of May in the Firth of Forth, and finally descends upon Öland and Gotland where Benny listened in with a favourite pair of Sennheiser omnidirectional microphones.�? Late October on the strands of Budle Bay where dense layers of transient alien voices are swamped by a full moon tide creeping across the island’s silver causeway. Now lapping out of the gathering gloom an immersive sea wash is filling then draining away carrying slow currents from here to another place. There are no reference points in this darkness. Glimmer dawn in the gaping mouth of a sea cave below Tarbet Gulley where the siren songs of Cromarty, Forth & Tyne ebb and flow with the swell. Draw in close but hear now a fresh voice from beyond the horizon. Viking, Forties; Cyclonic North East gale 8 backing North later 3 to 4.Thundery rain, moderate to good. A black ruthless sea. Heavy winds making it impossible to stand up straight, icy rain hitting your face like needles. A sound recordist with a particular and passionate interest in recording the wildlife sounds of animals, habitats and atmospheres from around the world. As a freelance recordist for film, tv & radio Chris Watson specialises in natural history and documentary location sound together with track assembly and sound design in post production. 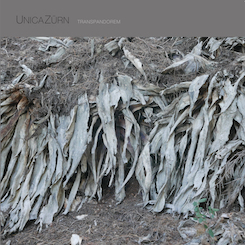 He has released 3 solo CDs for Touch: 'Outside The Circle of Fire' , 'Stepping into The Dark' , 'Weather Report'  and one album, 'Star Switch On' [2002, Tone 18], features recordings based on his work by AER, Biosphere, Fennesz, Hazard, Philip Jeck, Mika Vainio as well as two original recordings by Chris. 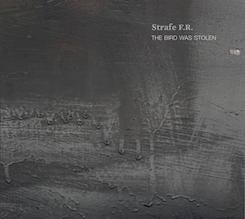 'Stepping into The Dark' won an Award of Distinction at the 2000 Prix ARS Electronica Festival in Linz, Austria. BJNilsen lives and works in Stockholm, Sweden, Born in 1975. He has been active with experimental music and sound since the early 1990s with various constellations. Since 1999 he has been releasing records as Hazard on the UK labels Ash International and Touch, making music and sound for documentary film, television and commercials. He is focused on the sound of nature and its effect on humans, field recordings and the perception of time and space as experienced through sound, sometimes electronically treated. He has released various albums for Touch and Ash International. His last solo release was 'Fade to white' [Touch, 2005] and he collaborated with Chris Watson on 'Wind' [Ash International, 2001] and 'Land' [Touch, 2002].